To adopt one of our cats or kittens, simply contact us: adoption@canterbury.cats.org.uk or tel: 01227 788821. We will then get in touch with you to complete a form and from this we will be able to find you a suitable cat or kitten. Once this has been done a home visit can be undertaken, the purpose of this visit is to give you more information and answer any questions you may have about settling a cat into your home. When a home visit has been completed you are then free to visit and adopt any suitable cats/kittens. Please remember we do not have a adoption centre to visit and so the process above must be complete before our cats can be visited in their foster homes. 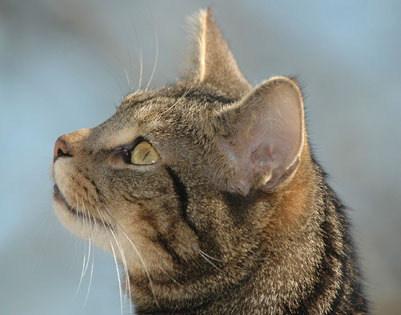 To find out more about our home visits please see our leafet here: Cats Protection Home Vists. Our adoption fee is £60 for all cats and kittens to read more about this go to our Adoption Fee page. This costs us around £150.00 per cat or kitten, and can be more if other treatment is required. All cats & kittens rehomed by us (with no maximum age limit) come with four weeks free insurance cover, this costs you nothing, but gives you some peace of mind during the first few weeks that you take a cat or kitten home. You will need a good sturdy cat carrier / basket lined with paper and a soft towel or blanket for the journey home. In our experience top openinig baskets are the best and please make sure that if you are adopting a big chunky cat that you do not purchase a really small cat basket, they will not like going into it! When you collect your cat you will need time to fill out some paperwork. We will carry out a follow-up phone call a few days after you have re-homed your cat this is just to ensure that everything is going well and that you and your cat are happy. We are always there after this, just a phone call away to offer any help and assistance. Just give us a call. Please check out the Adoption Advice page on our website for some additional information you will need when settling in your new feline to your home!